RTSea Blog: observations on oceans, sharks and nature: The Future of Coral Reefs: all but lost or capable of being saved? The Future of Coral Reefs: all but lost or capable of being saved? 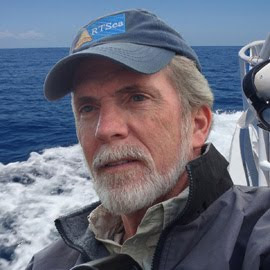 Writing this blog over the course of the past few years, I have touched on a variety of environmental issues and challenges facing a variety of ecosystems, many of which are ocean-related. I must admit, there are times when I find myself writing about one bad situation after another and begin to think, "Well, we're screwed." My prescription for those moments of cynicism is to write about something positive, fun or even silly. Change the mood; take a break; put your head in a better place. I thought of that when I read Roger Bradbury's New York Times Op-Ed, A World Without Coral Reefs. Bradbury is an ecologist with the Australian National University and in his writing he took the position that if coral reefs are threatened with extinction in the next 20-30 years, the three main forces that are threatening the reefs - overfishing, ocean acidification, and pollution - cannot be sufficiently arrested in time to make a noticeable difference within that time frame. Therefore, coral reefs are doomed. "It's past time to tell the truth about the state of the world’s coral reefs, the nurseries of tropical coastal fish stocks. They have become zombie ecosystems, neither dead nor truly alive in any functional sense, and on a trajectory to collapse within a human generation. There will be remnants here and there, but the global coral reef ecosystem — with its storehouse of biodiversity and fisheries supporting millions of the world’s poor — will cease to be." 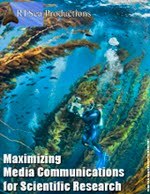 Bradbury examines the three main threats and lists some measures of improvement but contends that such progress, whether real or proposed, is incapable of reducing the effects of overfishing, acidification, and pollution enough to make a measurable difference in the ultimate degradation of the coral reefs. There just isn't enough time but, contends Bradbury, governments, environmentalists, and scientists won't accept the inevitable and continue to cling to hope. "But by persisting in the false belief that coral reefs have a future, we grossly misallocate the funds needed to cope with the fallout from their collapse. Money isn’t spent to study what to do after the reefs are gone — on what sort of ecosystems will replace coral reefs and what opportunities there will be to nudge these into providing people with food and other useful ecosystem products and services. Nor is money spent to preserve some of the genetic resources of coral reefs by transferring them into systems that are not coral reefs. And money isn’t spent to make the economic structural adjustment that communities and industries that depend on coral reefs urgently need. We have focused too much on the state of the reefs rather than the rate of the processes killing them." "It is scary, but is it true? I don’t think so. I have been called a pathological optimist, but on the other hand, I’ve watched reefs change radically from the dangerous wild places I experienced as a kid in the Florida Keys, to simplified systems with few corals and fewer predators. And this is in just 30 years. We have many examples of places where local threats like fishing and pollution have been reduced or reversed and in some cases like the Florida Keys National Marine Sanctuary, with great success. We also have some — though not many — reefs even in the Caribbean that have a lot of healthy coral and are patrolled by sharks, grouper, snapper, barracuda, and other large carnivores. The challenge for my generation of scientists is to increase the number of these “quasi-pristine” coral reefs (I’d like to see a tenfold increase) and to halt the decline of the other 90 percent of the world’s reefs. Are this optimistic goals? Sure. But the science suggests this is doable and I’m far from ready to give up on reefs." Revkin also received some feedback from renown marine scientists, conservationist, and author, Carl Safina. Safina recognizes the extant of the problem and concedes that many reef areas will be permanently altered. But he also recognizes that there is quantifiable progress taking place and that it is not yet time to throw in the towel. "Bradbury seems to suggest giving up and spending money on ways to replace the values (for example, fish) that coral reefs have provided. But what would giving up look like? Overfishing is old news, and plenty of people are, in fact, spending money trying to raise fish. Some are making money. Overpopulation: also old news and crucial to everything from water supplies to prospects for peace. One doesn’t need to certify future coral reef destruction to realize that overpopulation is bad for human health and dignity, not to mention a catastrophe for wild living systems. These problems have caused the losses to date and they continue. Warming and acidification are also building. But to accept that reefs are doomed implies that the best response is to give up hope, thus give up effort. That means we give up on curbing overfishing and allowing rebuilding (yet these two goals are in fact are increasingly working in many places, specifically because people have not given up, and because letting fish recover can work). It means we give up on controlling pollution (in the U.S., the Clean Water Act brought great improvement to rivers so polluted that they actually caught fire multiple times; developing nations deserve to do no less for themselves). It means we give up on population, whose most effective solving strategy is to teach girls to read and write. Giving up, while reefs still flourish in many places, means accepting what is unacceptable, and abandoning work on situations that can likely be improved. It means deciding to be hopeless. It means giving up on the reefs, the fishes, and the people, who need all the combined efforts of those who both know the science best—and who, while life exists, won’t give up. 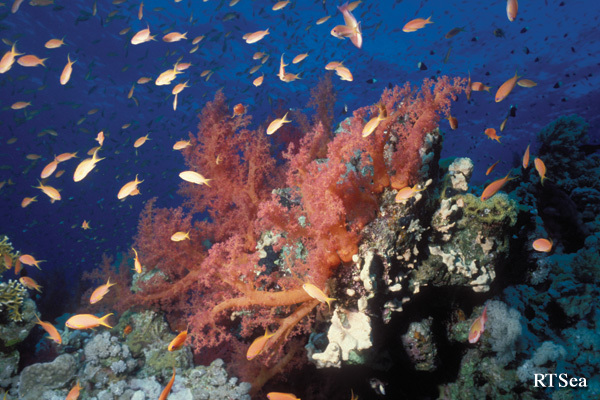 The science is clear that reefs are in many places degraded and in serious trouble. But no science has, or likely can, determine that reefs and all their associated non-coral creatures are unequivocally, equally and everywhere, completely doomed to total non-existence. In fact, much science suggests they will persist in some lesser form. Bleak prospects have been part of many dramatic turnarounds, and, who knows, life may, as usual—with our best efforts—find a way." Bradbury's op-ed is a worthwhile read, sobering as it is. However, so is Andrew Revkin's as his take serves not just as a Pollyanna, all-things-are-rosy response. There is a thoughtful counter-argument to the idea that coral reefs are beyond salvation. The biggest challenge may not be in what we do as much as when we get the worldwide determination to do it. No one argues with the fact that the clock is ticking.